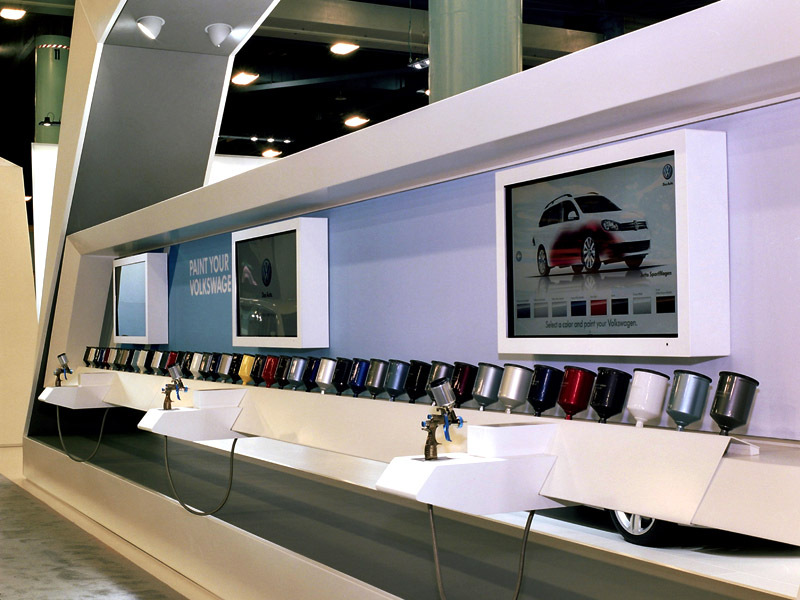 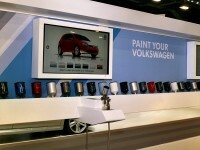 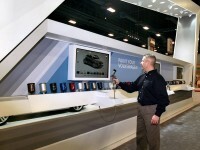 The George P. Johnson Company of Auburn Hills, MI contracted with us to create an interactive spray gun exhibit for VW. The challenge was to use an actual commercial metal spray gun and retrofit it with sensors, switches and speakers to create a virtual spray booth experience for auto show visitors. 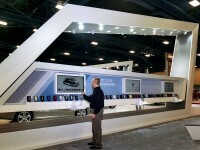 Using 6DOF magnetic sensors with a motion sensitivity of up to .001″, we created this very successful exhibit. 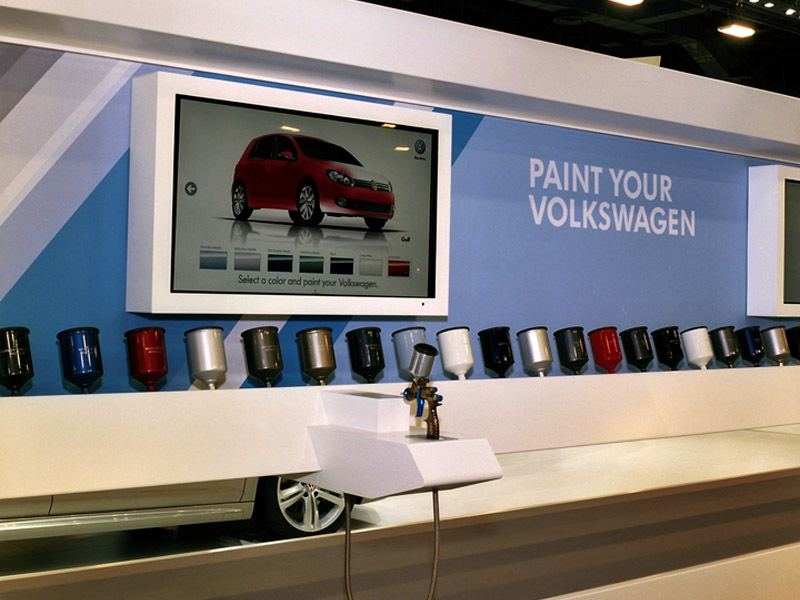 The visitor pulls the spray gun trigger to start the event, chooses a car, chooses a color available for that car, then virtually sprays the entire car from blank white to a color that is an accurate and current VW color that is available for that model.